“I am not here to be loved and admired, But to act and love. It is not the duty of people to help me, But it is my duty to look after the world, And the people in it.” J.K.
Janusz Korczak (1819 1942) the Polish Jewish physician, writer and educator, was a man who took his convictions and sense of responsibility so strongly, he was prepared to go to his death rather than betray them. A legend was born, when during the Nazi liquidation of the Warsaw Ghetto, after rejecting countless attempts to save himself, offered by his many Polish admirers and friends, he led his two hundred orphans out of the Warsaw Ghetto onto the train that would take them to the gas chambers of Treblinka. This man, who had brought up thousands of such Jewish and Polish children refused to desert them, so that even as they died they would be able to maintain their trust in him and their faith in human goodness. Most writings about Korczak begin by recalling this noble deed. However, the legend of the tragic and heroic death of this man, should not be allowed to obscure the richness of his life, and the way he lived it for both sides of the story shine with equal brilliance. He was the director of two orphanages one for Catholic children and one for Jewish children where he lived in the attic of one of them, for most of his life, receiving no salary. In these he promoted progressive educational techniques, including real opportunities for the children to take part in decision making. For example his Children’s Court was presided over by child judges. Every child with a grievance had the right to summon the offender to face the Court of his peers. 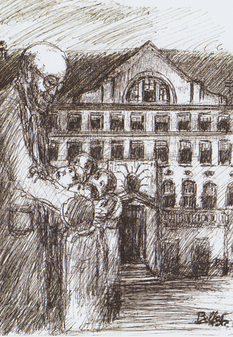 Teachers and children were equal before the Court even Korczak had to submit to its judgement. He envisaged that in 50 years every school would have its own Court and that they would be a real source of emancipation for children teaching them respect for the law and individual rights. His insights into children were unclouded by sentimentality, but were based on continuous clinical observation and meticulous listing and sifting of data. He was endowed with an uncanny empathy for children and a deep concern for their rights. He was wise, loving and utterly single minded, without a thought for such needs as money, fame, home or family. He founded a popular weekly newspaper, The Little Review, which was produced for and by children. “There will be three editors one oldster, bald and bespectacled and two additional editors, a boy and a girl.” Children and youth all over Poland served as correspondents, gathering newsworthy stories of interest to children. This was possibly the first venture of its kind in the history of journalism. 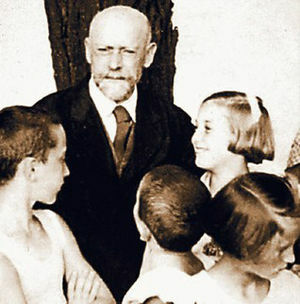 Korczak spoke of the need for a Declaration of Children’s Rights long before the one adopted by the League of Nations in I924. He said: “Those lawgivers confuse duties with rights. Their Declaration appeals to goodwill, when it should insist. It pleads for kindness, which it should demand.” In I959 the United Nations produced a second Declaration on the Rights of the child, but this was not legally binding and did not carry a procedure to ensure its implementation. Significantly enough during the Year of the Child (I979) it was Poland who proposed that a convention should be drafted based on a text manifestly inspired by the teachings of Korczak. The Convention on the Rights of the Child was passed unanimously by the United Nations General Assembly on 20Ih November I989. It took countries over fifty years to hammer out the “Rights” that Korczak had already laid out in his books. 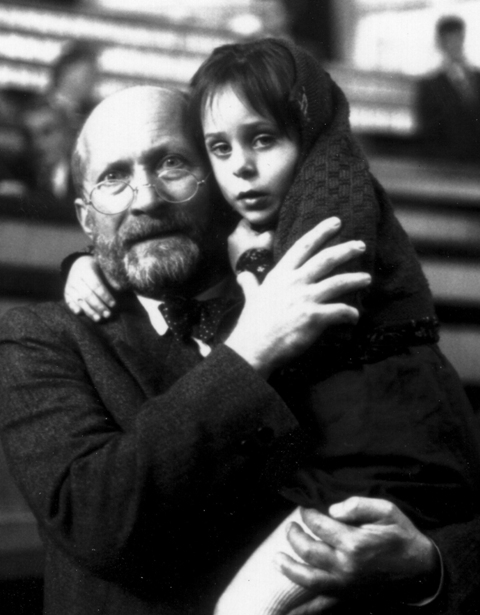 When UNESCO declared I979 “The Year of the Child” it also named it “The Year of Janusz Korczak to mark the Centenary of his birth. He has been compared to Mother Theresa, Martin Luther King and Socrates. Books have been written about his life and educational theories. His own books have been published and republished in over twenty different languages, including Arabic and Japanese. (They are currently republishing all his educational works in Germany.) His work is studied at European universities and symposia are devoted to him. Films and plays have been produced about him. Schools, hospitals and streets have been named after him. Many monuments have been erected to honour him. He was posthumously given the German Peace Prize, Pope John Paul II said, that “for the world of today, Janusz Korczak is a symbol of true religion and true morality.” Yet he is hardly known in the English speaking world. I hope that now as a result of my book 'Loving Every Child - Wisdom for Parents' (published by Algonquin Books) people in the United Kingdom will finally become aware of Dr. Janusz Korczak and his work. The book is a unique gift collection of his writings. Over I00 of his inspirational quotes are included together with a short biography. Most of the quotes are taken from “How to Love a Child” and “Respect for the Child”, books he wrote over fifty years ago but their insights and simple truths concerning children are as fresh and valuable today as they were then, for he was a man years ahead of his time. 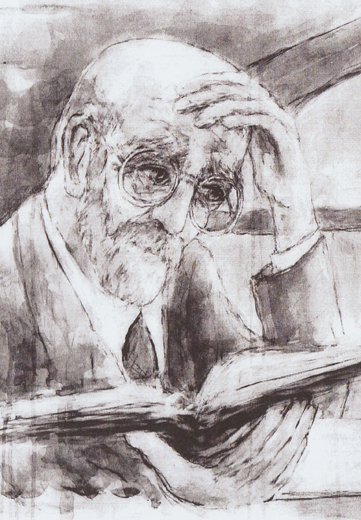 By fate I fell into the world of Dr. Janusz Korczak whilst studying psychotherapy. Alice Miller, the renowned psychoanalyst, who achieved international recognition for her work on child abuse, on violence towards children and its cost to society, described Korczak as one of the greatest pedagogues of all time. I tried to find out more about this Dr Korczak, especially his theories concerning education and childcare. At libraries I drew a blank. I asked teachers, social workers, therapists and everyone I knew, but nobody had heard of him. This was the start of a journey that would change my life. He showed me two books by Korczak that had been translated into English. One was his famous children’s book “King Matt the First” and the other was his “Ghetto Diary”, written at the end of his life. “But what of his work on children” I asked. Sadly Felix shook his head. Very little had been published in English. I left with two treasured books “How to Love a Child” and “Respect for the Child” by Janusz Korczak but they were written in Polish. I felt so frustrated. Slowly the idea dawned on me that there was no way I could enter into his world until the books were translated into English. A year later a biography on Korczak by Betty Jean Lifton was published called “The King of Children” as well as the brilliant film “XorczaW” directed by Poland’s greatest film director Andrzej Wajda. This convinced me even more. At last the translation was complete. I was amazed by what I read. He did not theorise, or give ready made answers, but presented the fruits of his experience in such a clear simple way. Almost like that of a child, direct but at the same time poetic, so that every reader could not help but be inspired. He acted as a guide on a journey into the mind of a child, offering insights we all need to learn in our modern society to get back in touch with the child within us all. 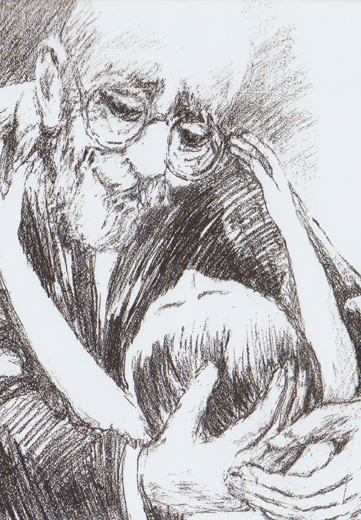 Korczak’s basic philosophy was his belief in the innate goodness of children and their natural tendency to improve, given the opportunity and guidance to do so. He felt that childhood was perceived as a preparation for a future life, when in fact every moment had its own importance one should appreciate the child for what he or she is and not for what he or she will become. He believed in respecting and understanding the child’s own way of thinking instead of perceiving him or her from an adult’s point of view. The children in the orphanage lacked the emotional support of a parental figure and as a result were likely to assert themselves on the basis of anti social norms. Korczak’s approach was geared to prevent such development. I went to Israel to interview his ‘children’ now in their seventies and eighties the few surviving orphans left in order to gain first hand knowledge of the man himself. Their faces lit up when describing Korczak. He was a loved father to them all, at a time when they desperately needed one. They all spoke of the feeling of warmth, kindness and love they felt in his company; about his smiling blue eyes and great sense of humour. I asked how they would explain to people who knew nothing of Korczak, why he was so important? One of them replied. 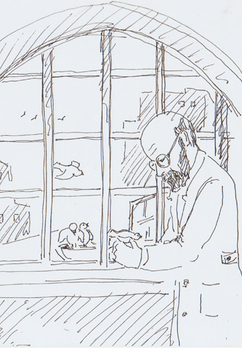 “It is difficult for me to explain to you in words the impact Korczak had on my life. He had so much compassion and a readiness to help all people. 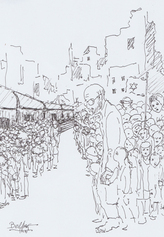 We used to say that Korczak was born to bring the world to redemption. What was so special about him was that he knew how to find a way to the child’s soul. He penetrated the soul. The time spent at the orphanage formed my life. All the time Korczak pushed us to believe in other people and that essentially man is good. He was an innovator of the educational system the first to reach the conclusion that the child had the same rights as the adult. He saw the child not as a creature who needs help, but as a person in his own right. All this was not just a theory he applied it in our orphanage. 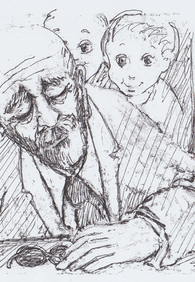 I have shown Korczak’s writings to young people, parents, teachers and anyone whose life is involved with children. They all encouraged me to pursue this book validating the value of it’s message in today’s world. However, it was the children I have counselled over the years, many of whom had experience of abuse and neglect, whose reaction surprised me the most. Without exception they all wanted to know more about him. If only my parents had read Korczak, they could have seen things from my point of view. Instead of feeling so isolated and misjudged, I could have quoted his words back to them. “Maybe then they would have understood me”. They agreed with Korczak that every school would benefit from a Court of peers which could help eradicate the social ills of today such as bullying and theft. They found it difficult to believe that fifty years ago he had set up a Committee (consisting of older children, himself and teachers) giving pupils a base to voice their ideas on improving the orphanage. They felt that if teachers listened to their opinions and valued their feelings in schools today it would help minimise truancy by creating a happier and more democratic environment. 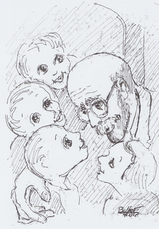 Korczak had always stressed the importance of ‘listening to and learning from children’.